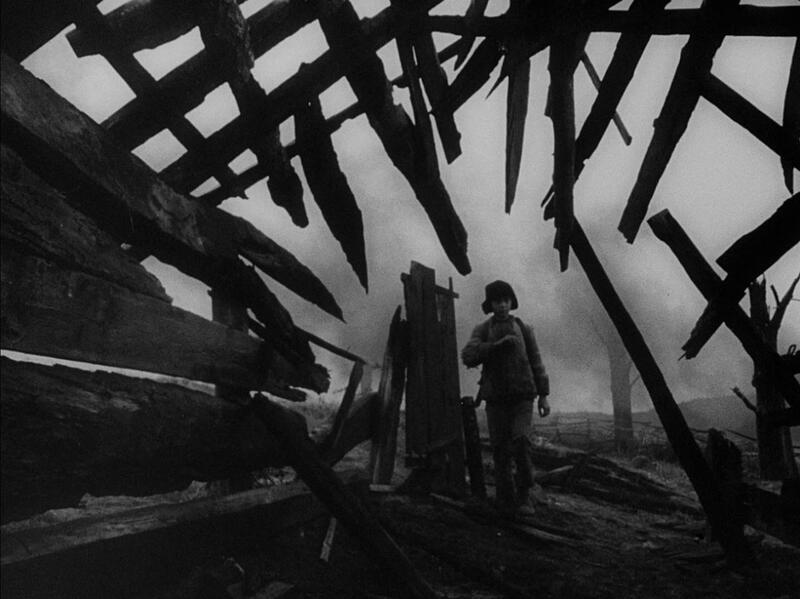 Tarkovsky’s debut feature (re-released in a pristine newly restored version) is surely the most lyrical war movie ever made. It is set at a brutal and bloody moment in the Second World War. Its main characters have all suffered devastating personal losses as the Soviet army tries to repel the Nazi invasion – and yet the film is a coming of age story which deals with young love and in which characters still have time to discuss art and books and to listen to music. The film opens in magical fashion with a sun-drenched dream sequence in which the 12 year old Ivan is shown as a golden haired boy in a sunny, pastoral setting, delighting in the natural world and with his mother doting on him. The reality, when he awakens, is that he’s a desperate kid, crawling through barbed wire-strewn swamps and trying to stay alive in a war zone.